Happy Thursday everyone! 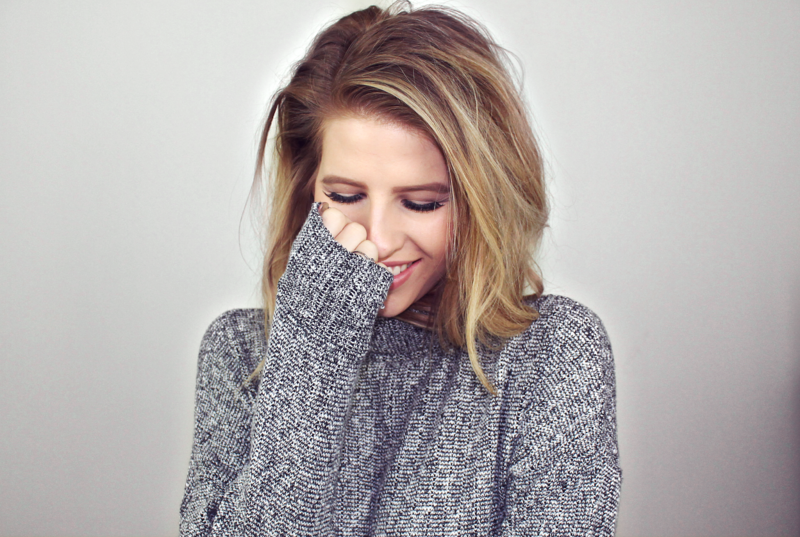 Today I thought I'd make a little post about my must-have staple piece of the now, roll neck jumpers! I feel like roll necks and winter go hand in hand. I have been non stop wearing these throughout the colder months with jeans, leggings, shorts, skirts you name it. It's such a versatile, laid back look. Which if you know me is right up my street. 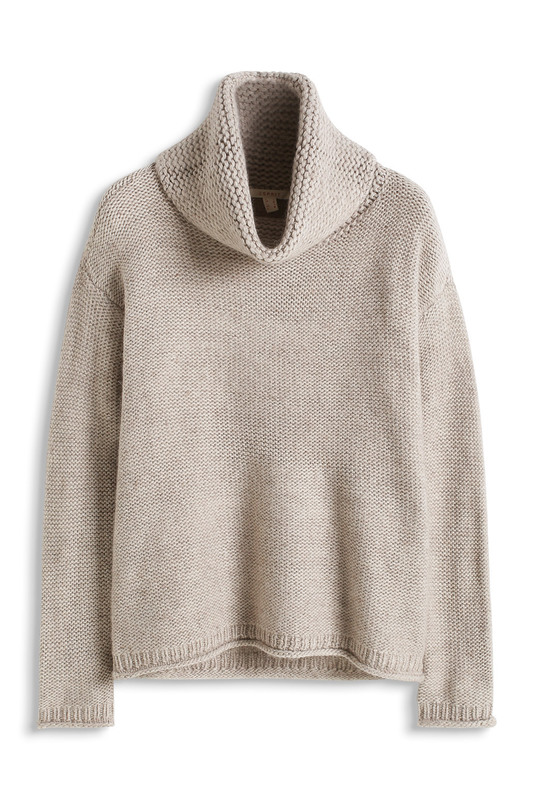 This effortless look is ridiculously easily to recreate and if you dont own a single high neck jumper at the moment, then what are you waiting for!? You wont regret it, I promise. Esprit do an amazing selection of jumpers and cardigans and if anyone knows how to do laid back luxe it's them! They have everything from chunky roll necks to dainty slouched jumpers, there really is everything you could need to re-create this look. I paired my chunky sweater with some cute denim shorts just to show that you dont have to cover head to toe to rock this look. You can dress it up by exposing your pins for a perfect casual date look. I went back to school for my second look pairing my navy high neck with a cute checked skirt and black tights for a butter-wouldnt-melt feel. For my final look, the sleeveless camel longline, I simply paired this with some black jeans and chunky ankle boots. 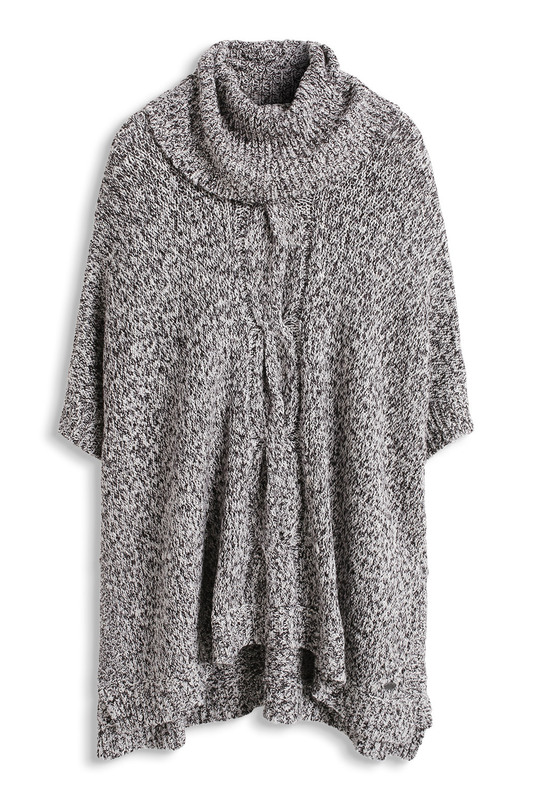 This one's perfect for those days where the weather just cannot make up its mind. Those days where its freezing cold in the morning and tropical by lunch time. I hope you enjoyed this post. I'll leave some of my top picks to get achieve these looks, below.